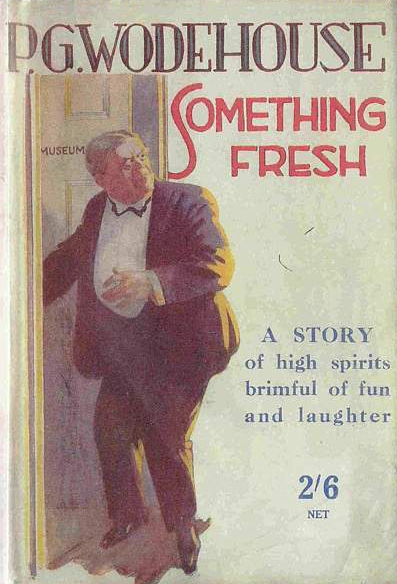 Something Fresh is the first Blandings book, published in 1915, and there's a lot missing from it that the later books in the saga would establish: no Galahad, no Constance, no Empress. But Lord Emsworth is his fluffy-minded self, and Freddie Threepwood is a great comic creation, only eclipsed in his line by the later Bertie Wooster. Wodehouse was still working out the formula that would serve him for the bulk of the century, and what might surprise someone only familiar with the later work is how sincerely, though still relatively casually, he treats the romances at the center. It's a lot easier for me to place the book in the timeline of Wodehouse writing than in the timeline of broader literature: at times, thinking about the fact that it was published in 1915, my head swam. It feels so much more conversant with later decades, especially since so much of the serious 1910s literature I've been reading takes place in the nineteenth century. But that's one of the perils of reading only serious literature and Wodehouse: to get a proper view, I should also be reading other popular literature, the (especially American) magazine writers who were Wodehouse's actual peers and who were also flashily up-to-date and unconcerned with the social conventions whose breaking occasioned so much of the Serious Writers' angst.